Egyptian middle class men and women – many of whom are entrepreneurs – were instrumental in the success of the Egyptian Revolution. There is a common misconception in Egypt and the Middle East that the business community has not been a part of the Arab Spring. The reality is that business people are an active part of the change that is sweeping the region. Egyptian middle class men and women – many of whom are entrepreneurs – were instrumental in the success of the Egyptian Revolution. When I first showed up in Tahrir Square, I saw many business people – friends, colleagues, people working in large corporations and small business owners alike. They were all there on January 25th, the first day of the revolution. None of us had any experience living through a revolution. All we knew, going out into the streets against the unknown, was that you try to find familiar faces and people you know, and walk together elbow-in-elbow to show strength even if what you feel is fear. We started at the Mostafa Mahmoud mosque, which is in a neighborhood approximately five kilometers away from Tahrir Square. This is the neighborhood I come from and know well. The two familiar faces I saw first were a dear friend and colleague who owns a medium-sized ICT company, and my barber. We walked together in the first few minutes filled with anxiety and fear. Then, more and more familiar faces appeared as we walked through our middle class neighborhood, with people coming down from their apartments to join us. We started with less than 300 people, but we ended up with nearly 15,000 after merging with another crowd coming from Nahia, a lower income neighborhood. By the time we arrived at Tahrir Square, our group nearly doubled the total number of people already there. 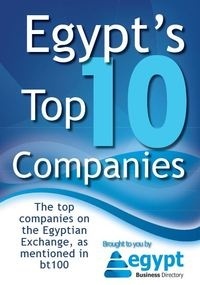 As we started to settle down, I saw some of the leading businessmen in Egypt, including owners of top 100 companies listed on the stock exchange. We all joined together, and we made a point to show this unity. I was talking to the young people on the street to make sure that they understood that everyone was there, that even the rich and the famous of Egypt had joined the movement. Everybody was wearing jeans and a sweater or a jacket because it was a bit cold. There was no differentiation between who was who – everybody was an Egyptian, regardless of where they came from. Everybody equally felt the lack of freedom and democracy as well as the injustice of the existing system. What people should realize is that all the entrepreneurs – big and small alike – who filled Tahrir Square have a greater interest in a democratic transition than anyone else, since only democracy can ensure the rule of law and accountability needed for a business-friendly environment. Unfortunately, what we are seeing today is a populist turn that can harm Egypt’s future. In large part, it seems to be the result of government-inspired calls for social justice in order to divert the interests and goals of democracy and freedom to short-term material gains. These short-term material gains, however, often come at the expense of much needed reforms. What brought many of the business people into the streets was the lack of transparency and the favoritism that allowed only an insider club of 40 or 50 select individuals to prosper in Egypt’s business environment. The business people in Tahrir Square had felt how tough it was to do business in such a corrupt, non-transparent environment. More importantly, as entrepreneurs and visionaries with dreams of success, those business people in the Square felt that their successful businesses would and should help make Egypt a more successful country that could compete globally. In fact, I do not think any single Egyptian – businessperson, citizen, layman, or student – thought of him or herself as a citizen of a developing country. Yet, many of the hopes for change that brought business people of all types to Tahrir Square remain unfulfilled. We live in a high-risk environment, both economically and politically, and nobody knows where we are heading. But business people continue to stay engaged, both by pushing for reform and by joining political parties. For instance, Naguib Sawiris, one of the biggest businessmen in Egypt, just organized the Free Egyptians Party. Many others are forming their own parties or joining existing ones. As business people work to build democracy in Egypt, it is important to keep in mind that they are ready to sacrifice their wealth or position for a free, democratic, and prosperous Egypt. The results of the Egyptian Revolution should reflect Egyptians from all walks of life, including entrepreneurs that form the middle class.